More than one fund! Am I kidding you? No I’m not as there are very valid reasons for using more than one SMSF for your investment needs. Land tax is a form of taxation applied to the value of any land that an individual or entity may own. For an individual their primary place of residence is normally exempt from Land Tax. Depending on your state or territory, land is a very broad term that encompasses vacant blocks of land, commercial and residential properties. I will be talking about NSW in this article. Tax on land value above the threshold $100 plus 1.6% up to the premium threshold. Land tax can be minimised by taking advantage of land tax thresholds that apply per entity not in aggregation. So Land tax can be controlled through the use of a separate Self Managed Super Funds (SMSF) for additional properties once you reach the exempt threshold ; . Currently the Land Tax Free threshold sits at a land value of $432,000. Therefore any land value that exceeds this can be taxed at a rate as high as 2%. However, each SMSF is treated as a separate entity meaning each SMSF has its own $432,000 threshold. This allows property investors to hold their land across multiple SMSF’s in order to never exceed the threshold in any of these funds and in effect become exempt from land tax. Sharon and Robert through their Love Property Superannuation Fund own an investment property in Castle Hill with land valued at $402,000 as part of a diversified strategy of their Self Managed Super Fund. Intent on expanding their property empire the couple has recently received pre-approval for an investment loan to purchase an additional property in Rouse Hill with land valued at $413,000. With this purchase the Love Property SMSF would have a combined Taxable land value of $815,000 obligating them to $6,228 in land tax. 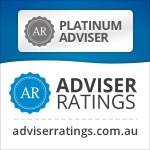 However on speaking to their “SMSF Association Accredited SMSF Specialist Adviser“ (Yes you guessed ME! ), Sharon and Robert set up a second Self-Managed Super Fund, Love More Property SMSF to purchase the second property. This means the land owned in their first SMSF is below the tax threshold and the land in their second SMSF is valued at below the tax threshold which effectively exempts Sharon and Robert from land tax. Running a second fund can be done for less than $2,000 per annum so a net saving of $4,228 per year or at least $42,280 over a 10 year property buy and hold strategy. So you can see that multiple SMSFs are an effective tool to boost the returns of your property investment. 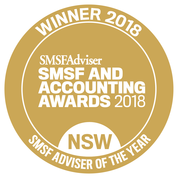 If you want to know see more about property in a Self Managed Super fund the go to the page https://smsfcoach.com.au/property-in-a-smsf/ for articles that cover most of the strategies and questions on this subject including Tips and Traps to be aware of in advance.